'Tree Anatomy' is a durable, and useful book for all people who are interested in furthering their knowledge on trees. 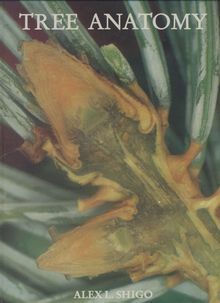 Including information on small flowers and their anatomy, Chlorophyll in young bark, in fissues in bark on old trees, the world of soil fungi, Mycorrhizae, actinorhizae and root hairs , barrier zones and reaction zones in tropical trees and the orderly connected parts of the tree system. The large color photos and brief captions make it easy to read and understand. A perfect complement to biology and tree anatomy classes.